Alive & Kickin’ Pizza Crust, a division of Port City Bakery, Inc., started in 1989 when a group of friends turned their passion for pizza into a business we’re still crazy about. We’ve evolved quite a bit since those first days when we focused solely on custom dough for a handful of customers. 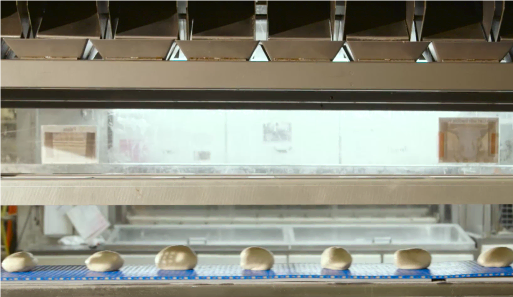 Over the course of several years, we expanded our expertise to answer customer requests for self-rising and par-baked crusts, and frozen dough balls. Today, Alive & Kickin’ is the supplier of choice for restaurants, food service and manufacturers across the country, offering a full line of remarkably good pizza doughs – so good, in fact, that customers confidently stake their reputations on them. Consistent. Convenient. Cost-effective. You never have to wonder what to expect from Alive & Kickin’ products because we work hard to make sure they perform to very high standards – and taste delicious – order after order after order. Alive & Kickin’ also help customers take advantage of what’s on the horizon. Our R&D team is always leaning forward to make sure we’re offering products that align with emerging industry trends. We support our innovation with insights, too, giving customers valuable tools to help them grow their businesses. We operate four facilities in Green Bay, WI, and one in Prior Lake, MN. Major additions and installations have been completed at all plants in recent years. Our production lines use state-of-the-art equipment designed to produce a wide variety of products. Large-scale, high-capacity lines allow us to produce nearly all orders on demand, giving customers the freshest product possible.